Please do a study on My Eg. Why people in i3 still think it is cheap after giving 1 for 1 bonus. 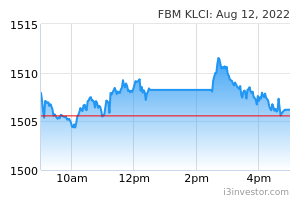 Fimacorp is an example that it split its share until full valuation is being reached. Thanks for sharing. Regarding the bonus shares, which year of the Warren Buffett's letters are you referring to? Thanks. The company fork out the its treasury shares (shares that the company buy back from the stock market) and distribute them according to its shareholders by weightage of shares owned. Regarding this, please read the Warren Buffett's letter to shareholders, the logic is all there. Thank you Warren. Thinking back in Malaysia, although the shares buy back can be violated but the largest shareholders also receive collateral damage. Not as abusive as voracious ESOS. I thought bonus shares were issued from retained earnings. Basically company must have sufficient reserves to issue bonus share. Treasury shares can be distributed as share dividends I believe. Company can only buy back max up to 10% of the issued shares. Anyway, the bottom line is the same, value of the company does not change. Lucky lum, acutally Warren Buffett constantly discuss how he view about share repurchase especially for Berkshire Hathaway. However you may find that the 1999's letter to shareholders (page 16) particularly useful. Have a visit to 2002's letter to shareholders and get impressed by Warren Buffett's humor and wisdom on how the Board Directors swindle shareholders. I also pay a great attention to treasury maps (disguised in book form) recommended for reading by WB in his letters to shareholders. Don't miss the exciting part yea, enjoy your reading. First i would like to apologize because the term I used is a bit misleading. The meaning of bonus share that I mentioned in the article actually refers to distribution of share bought back (as known as treasury share) to shareholders according to proportion of share owned compare to whole company. It would be more properly to be termed as distribution of treasury share/ share dividend. I am not an accountant and please correct me if I am wrong. The other condition that the shareholder can receive "bonus/free" shares is when the listed company issue additional shares. For Company ABC, there are 50,000,000 shares circulating in the market. The company can issue additional 10,000,000 to its shareholders. By proportion, for every 5 shares held, 1 new/bonus/free share will be given. contemplator... agree with your explanation. Except for the part ROE decreases. ROE will not change since ROE = Net Income / Equity. The total net income and equity remains the same before and after bonus issues.